Jim Henson’s Labyrinth - The Adventure Game contains everything you need to enter the magical world of Jim Henson’s Labyrinth. This beautiful collectors item contains a full epic adventure which can be played both by expert roleplayers using their favourite RPG rules system, and by fans of the Labyrinth who are not roleplayers, using the streamlined rules system included in the book! 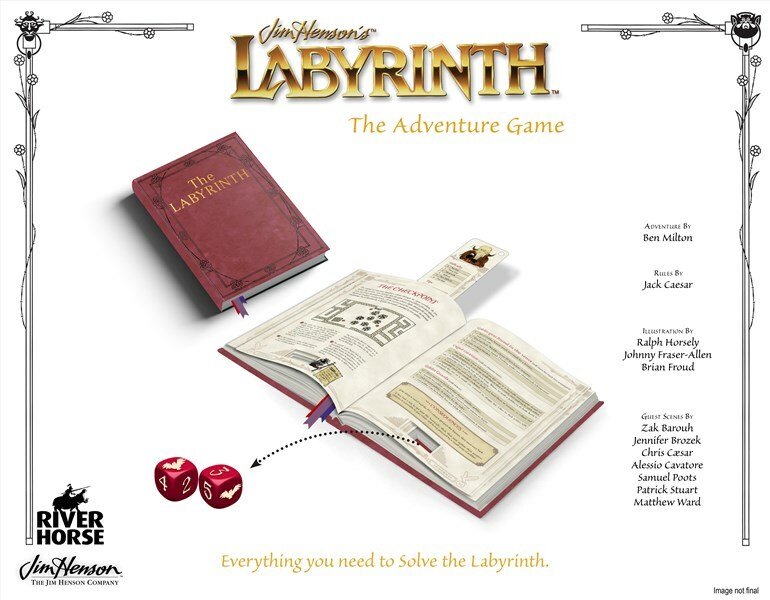 Jim Henson’s Labyrinth - The Adventure Game will be released in 2019.